Developed various printed designs for the Organic Research Program at Western Illinois University's School of Agriculture. 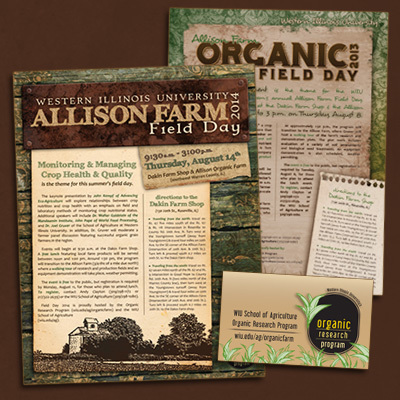 Worked closely with clients to create fliers and on-site signage for annual Alison Farm Organic Field Day. 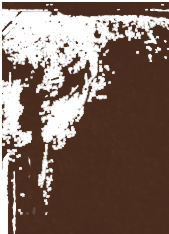 Also designed promotional magnets and t-shirts (not shown). Each piece integrates custom illustrations and highly-manipulated, copyright-free photos. Goal with each design was to appeal to a broad audience of both farmers and non-farmers of various ages. Also developed original logo design and Organic Weed Management booklet.